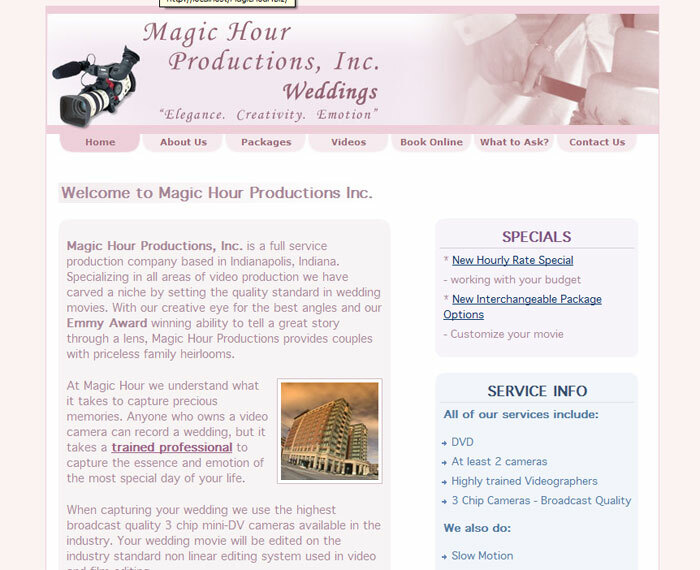 This is the Magic Hour Weddings homepage. This is the Magic Hour Weddings about page. 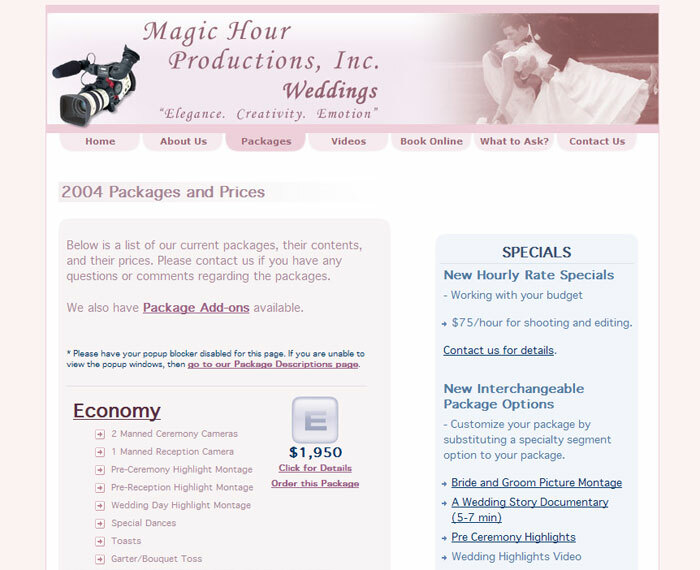 This is the Magic Hour Weddings packages page. 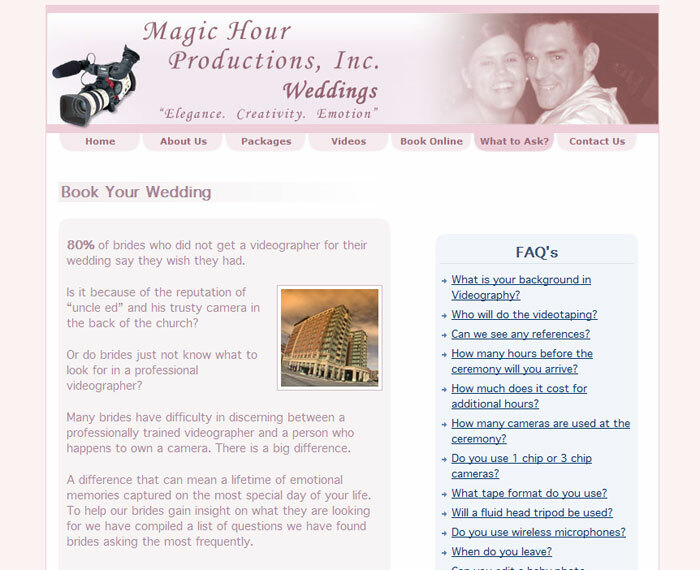 This is the Magic Hour Weddings faq page. Magic Hour Productions is a vendor and client for Absolute Bica. 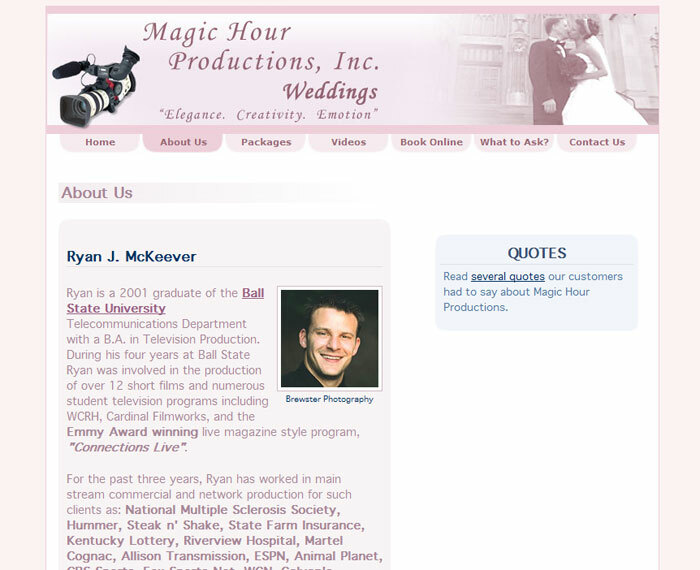 The owner, Ryan McKeever, needed a site built out for his weddings segment of his company. He provided me with videos, images, and pamphlets as materials to be used in the design/development of the site, but also laid out his vision for the look of the site. Bryan is a wonderful web developer and an even better person. We would trust him to code a site for any client in any budget range. He will go the extra mile to ensure client satisfaction and that is vital in the small business economy.